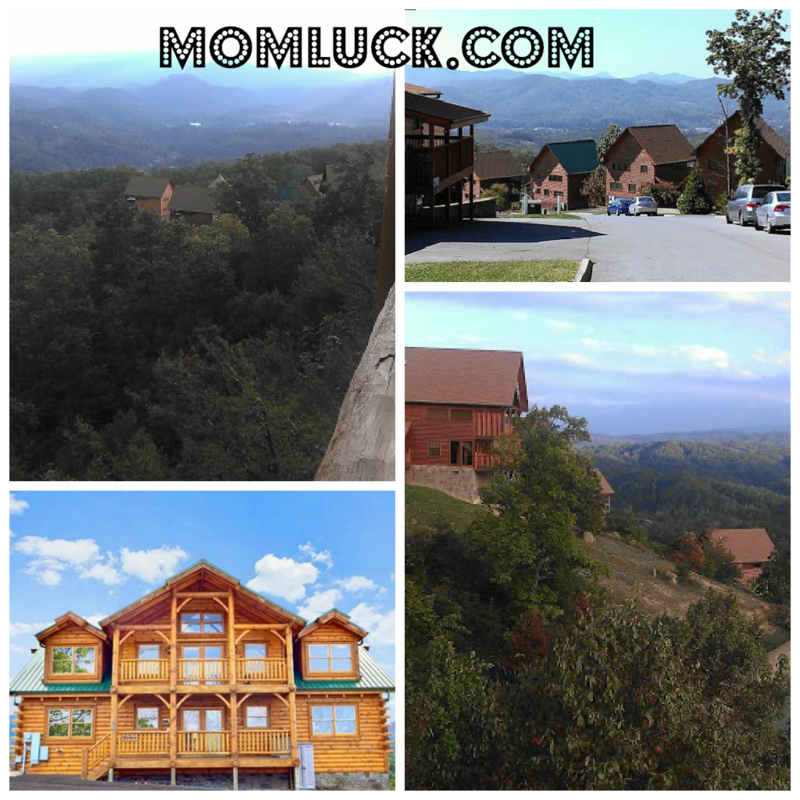 Over the past few years I have done many travel reviews across the US but one thing that I was eager to mark off my list was to stay in a beautiful log cabin overlooking The Smokey Mountains. During my recent adventure also known as Brandcation, myself along with 33 other women were welcomed into one of the most amazing cabins I had ever seen. It was huge, well it would have to be to fit 34 women inside! Cabin fever has a variety of cabins to stay in and they are all beautiful and overlook some of the most beautiful scenery you will ever see. Our particular cabin slept 34 women pretty comfortably with most of us sharing King size beds. 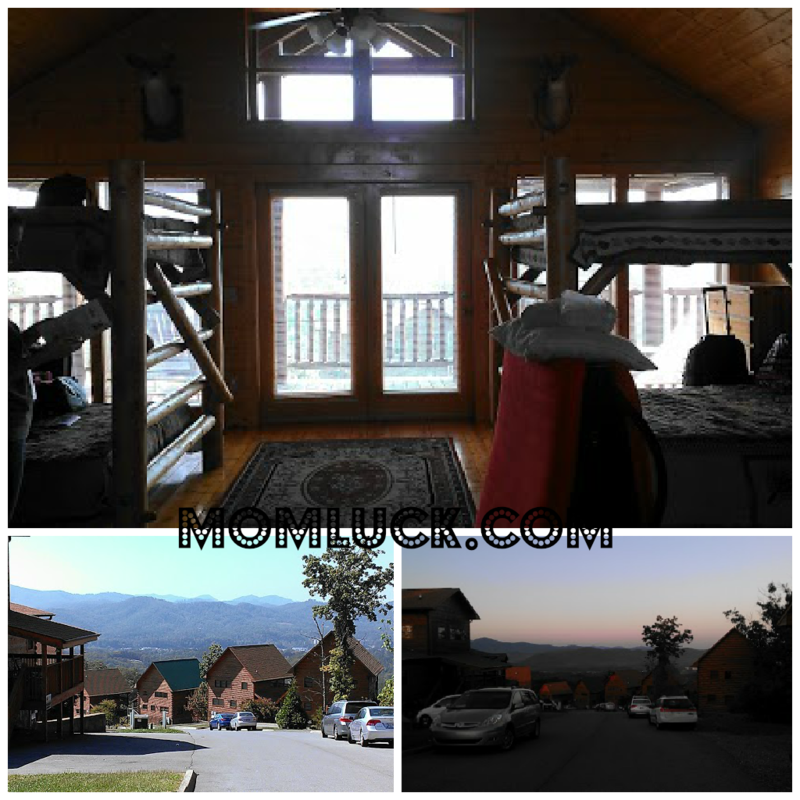 The cabin had 7 full size bathrooms, a full kitchen, living area with TV, Game Room Downstairs and two amazing hot tubs on the balconies that overlook the Smokey Mountains. The cabin was in amazing shape and very clean. I’m always a little overly paranoid when it comes to staying in a hotel or other vacation-type property because if you have a place that’s dirty it makes for an awful experience. This just wasn’t the case with Cabin Fever, the outside and inside where cozy, clean and super comfortable. I shared a top bunk with Amy from GrinningCheektoCheek.com, and I think she will probably agree with how comfortable the bed was. Our stay was fantastic and I would highly recommend these properties. Whether you are wanting a getaway for your immediate family or you want something larger for groups be sure to check out Cabin Fever Vacations and their amazing properties. It’s a vacation experience you will never forget. *Cabin fever provided lodging during the Brandcation event. The view alone would get me to book. What a beautiful location. So glad you enjoyed it so much! How pretty! It has been a while since I stayed at a cabin in the Smokies. I need to look into these for our next vacation. oh WOW is that view breathtaking! what fun! That cabin is enormous and the views are incredible! I’ll have to look this company up next time we are planning a vacation in the area. Wow, amazing cabins and what a breathtaking review! This looks like a great find, thanks for sharing! I would love to stay in a cabin there. The cabin looks amazing would love to visit with my family. Amazing cabins and breathtaking view! It has been a while since I stayed at a cabin. This is the perfect time to book for another enjoyable cabin stay. Gorgeous cabins with stunning views!